Splash Bracelet from the Splash collection. 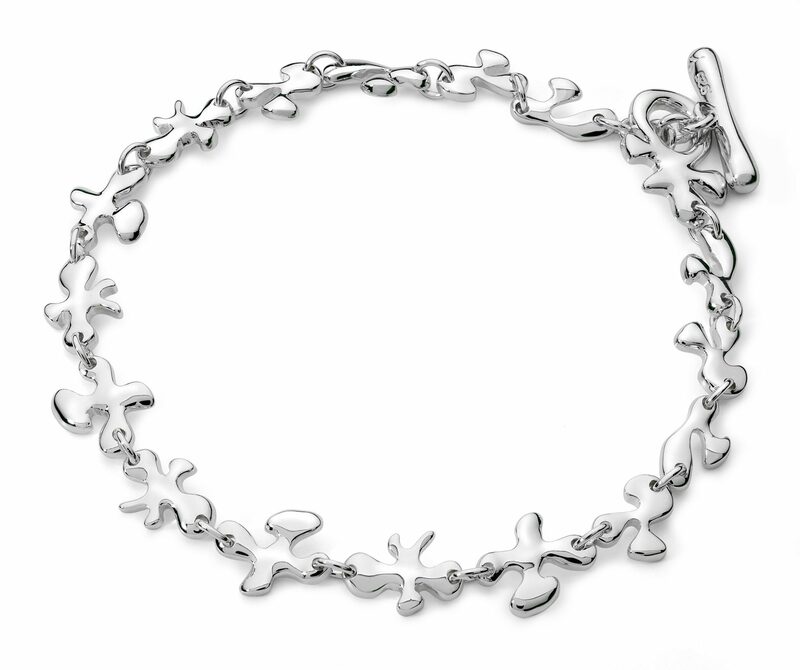 This beautiful bracelet is created by connecting a series of solid Sterling Silver splash shapes with round shaped links. It comes with a T-bar fastening. It is perfect for all occasions.